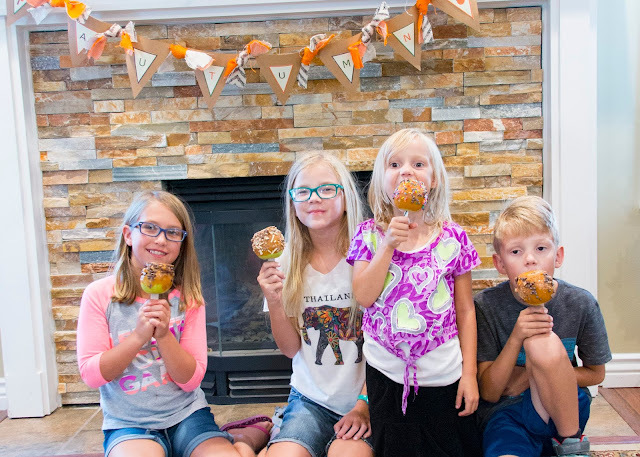 Fall is in the air, and to celebrate my favorite season I helped the kids make delicious caramel apples. I have learned a few tricks over the past couple of years, such as sanding the apples so that the caramel has a surface to stick to. I also chilled the apples so that the caramel will harden quickly. 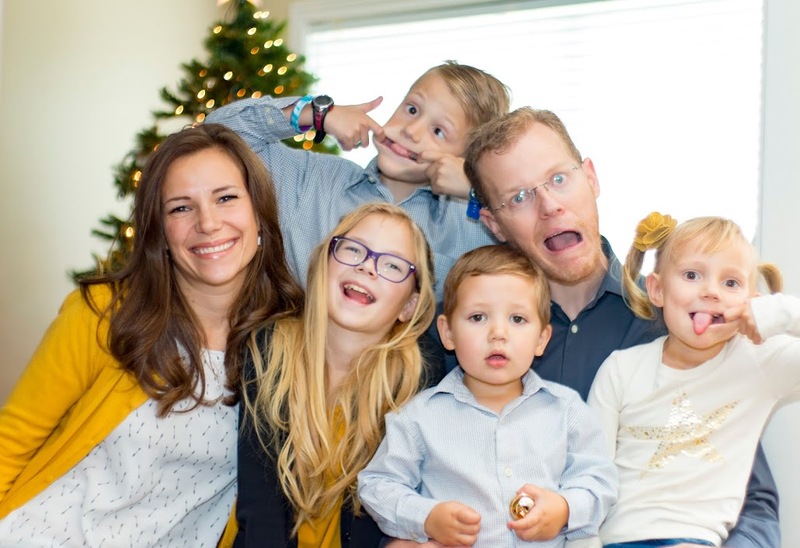 These extra steps have made the process a lot easier for the kids. In the end, we made six apples with a variety of toppings. 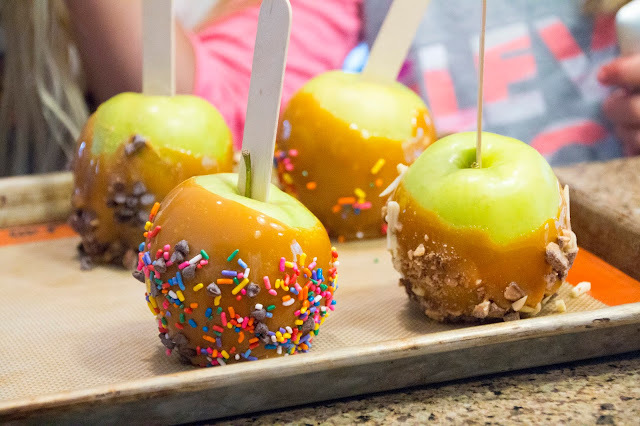 Traditionally making caramel apples is something I only do once a year, but I think they make great neighbor gifts, so I might have to do another batch.